Quite recently, I find myself with numerous invitations for different occasions that require my wardrobe to re-invent itself (let’s put it that way: I required myself to re-invent my wardrobe…). Be it a classy wedding in the south of France, a hippie-styled beach wedding in Spain, a traditional one in Mexico or black tie birthday/get-together parties – the same first world struggle stuck with me ever since the first invitation landed in my inbox. Repeating an outfit I wore at the last wedding? Boring and almost a little insulting. * Risking a boring kind of inappropriateness with a little too short dress at a black tie evening? Hm…not really. Wearing a last-minute-online-order from a dodgy online-store that ends up smelling like polyester at its finest after 5 minutes of wearing it? No thanks, I pass. Just when I started getting into the search for maxi dresses, I realised how “hard” it is to find the right one. Now I know that the best season to get some beautiful evening wear at an acceptable price is the Christmas season. But I couldn’t believe that there was literally nothing to find when I was religiously stalking ASOS and the usual stores on a daily basis for the past few months. While I had some friends complaining about the same phenomenon of not finding a nice long dress or anything else that appears appropriate, I decided to create a list of my most actual finds, which should make it easier to get a quick overview of all the dresses I personally like the most. Why maxi dresses? You can almost never go wrong with them. They give enough room to play around with colour, prints, details and especially accessories (never without a nice piece of jewellery for me..) and I currently just prefer them much more over midi dresses or the few pieces in my wardrobe that are very close to the border of “doesn’t feel right” due to cut or length. 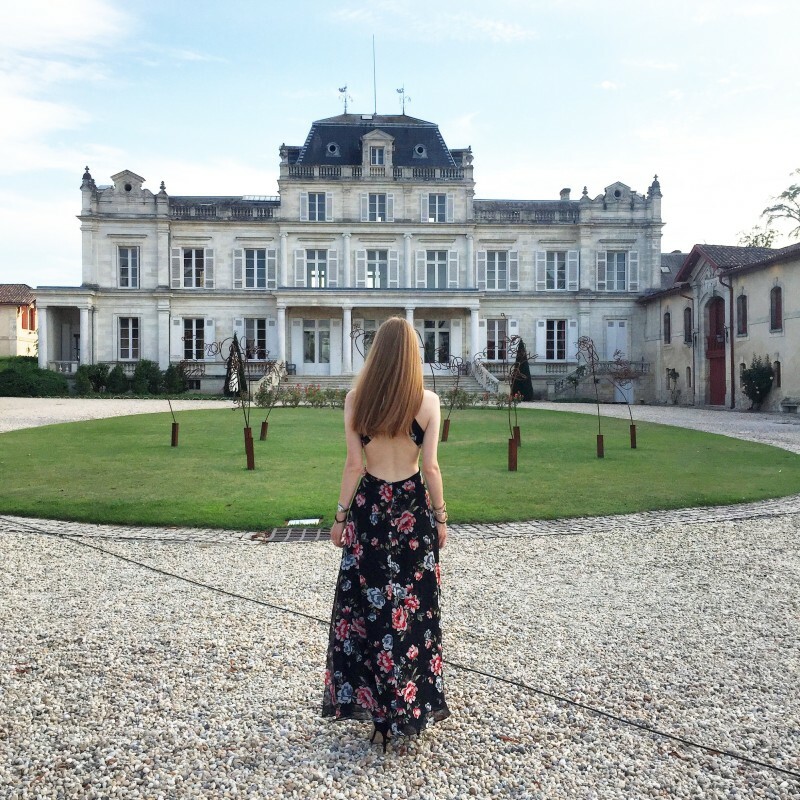 The shared pictures are from the French wedding I attended two weeks ago in Bordeaux – since the back of this Zara dress (!) is non-existent, I threw over a black blazer (white is reserved for the bride after all!) with golden buttons. *Personally speaking, I find it boring to take a dress to an immediate different adventure if you wore it just previously to another event. If you style it differently (think: different hair style, different accessories, shoes etc), it might work perfectly but in most cases I don’t like to do this. Zara – why not! Looks classy…. Great dress, I like it very much.